Packaging with WOW factor - make and impact. You’ve probably workshopped your idea a billion times, brainstormed with your team, written business plan after business plan, and you know what you want your customer to feel when they receive or unwrap your product. So how do you translate that into your packaging? 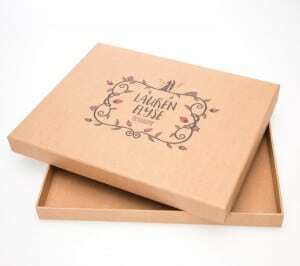 How do you create packaging with WOW factor and make a positive impact on your customer? connection your client has when they see your packaging can be the difference between them telling all their friends and sharing on social media, or doing nothing – throwing the packaging in the bin. So how can you create packaging that’s on-brand, full of pride, and offers a WOW experience for your customer? A positive experience can be so easy to create, showing your customers that you care. Send out packages with a handwritten note inside, thanking your customer for buying, being awesome, having style – whatever! 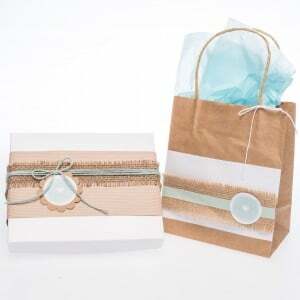 Think about a unique texture you can use for your packaging – we offer linen and hessian trim as a tactile point of difference to help your customer enjoy the experience and connect with the package. Are you creating the WOW factor? It’s often underestimated how important it is to create packaging that not only looks fantastic but feels great for your audience – both physically and emotionally. The emotional connection and the passion they feel when they receive your product can be one of the most important things in your business, as it creates a fantastic culture that other potential customers will love. Take the time to consider how your packaging will do this. Sometimes you have the opportunity to get to know your customers and can tweak the experience to really connect with them, so do this if you can! We like to take the opportunity to talk to our customers on the phone whenever we can because every business is different and so are their needs. Also, think about what you already know about your customer and how you can personalise it for them; if you’re a wedding photographer, you will know the personalities of your clients after having spent time with them. If your customer has mentioned recently that they’re tired and stressed, pop a bag of green tea into the envelope with a cute little note. Here are some comments from customers on our Facebook Page, with some great feedback and advice. Don’t forget to have a dialogue with your audience, engage with them and remind them you’re listening and taking on board what they want.